The EMG SA/SA/81 set brings together the classic EMG 81 with two Alnico V loaded SA single coils for a combination that is aggressive in the bridge and smooth yet articulate in the middle and neck positions. The iconic EMG 81 humbucker is one of their most popular pickups, utilizing powerful ceramic magnets and close aperture coils, the tone was designed with detailed intensity, incredible amounts of high end cut and fluid sustain. The EMG SA single coils are loaded with Alnico V bar magnets and sound bright and airy, with a rich bottom end. With internal shielding and a low impedance preamp, you get virtually noiseless pickups without sacrificing a true single coil tone. The creamy mid-range warmth creates sublime blues tones that are clear, strong and expressive. 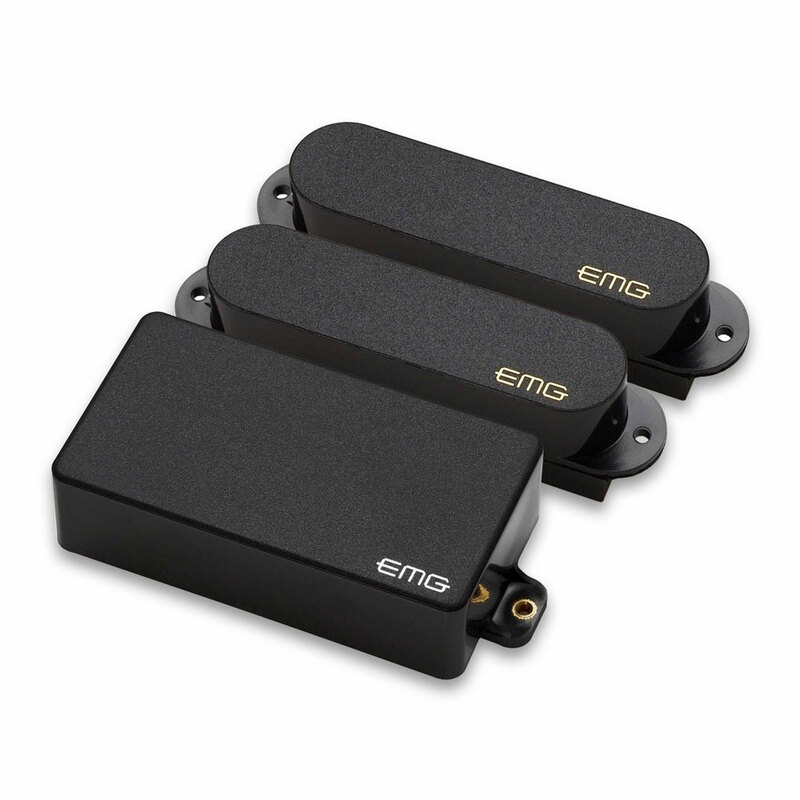 The EMG SA/SA/81 pickup set features their solderless system for quick and easy installation, it comes with everything you need including a 25k volume pot, two 25k tone pots, 5 way selector switch, stereo output jack, battery connector and all required connector wires.